Below you can view all the townhouses for sale in the Barnes Mill Lake subdivision located in Marietta Georgia. Listings in Barnes Mill Lake are updated daily from data we receive from the Atlanta multiple listing service. To learn more about any of these townhouses or to receive custom notifications when a new property is listed for sale in Barnes Mill Lake, give us a call at 404-998-4148. Stop In And Take A Look This One Wont Last Long! Fha Approved! MLS#6534515. Owners.Com. This Home Is Move In Ready And Will Not Last. MLS#6515034. Century 21 Results. Close To I-75, Close To Marietta Square, And Near Shopping Centers. 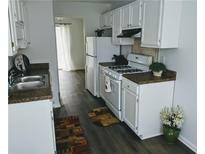 MLS#8535944. Maximum One Realty Greater Atl. 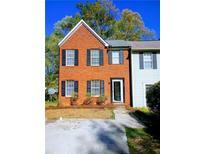 Close To I-75, Close To Marietta Square, And Near Shopping Centers. MLS#6513282. Maximum One Realty Greater Atl..
Home Comes With A 30-Day Satisfaction Guarantee. Terms And Conditions Apply. MLS#6108207. Opendoor Brokerage, Llc.